Eczema or crying of the skin is one of the most common itchy skin condition. Eczema might arise as a result of any allergy , constant friction at the site, infection etc. Eczema might be dry or wet. When it oozes its called as a wet eczema and when its dry and itching is the only symptom then its called a dry eczema. Dry skin is the most common root cause behind eczema while irritants can also start eczematisation. The treatment of eczema comprises of topical steroidal creams, moisturising creams and oral anti allergics. 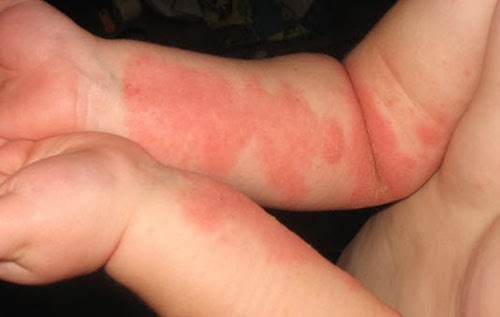 People think that eczema is contagious and is not treatable but these are only myths. If the root cause behind eczema can be ascertained and can be taken care of then the eczema wont occur again. Many patients keep applying creams of various types before visiting a dermatologist and thus their problem becomes chronic. A single visit to a good dermatologist can help you cure your long standing eczema in a months time. For appointments please call: 99111-00050. Dr.Rohit Batra specialises in all sort of clinical dermatology cases including Jock Itch. dear doc , my daughter has eczema which is dry , itches a lot , but , we live in south Africa what do you recommend. tried various types of creams all topical , is there a cure ?